We provide a complete solution for small business servers. In time, when you need to upgrade your small business server, we recommend the most cost efficent upgrade path to allow you to continue working while protecting your software and data. 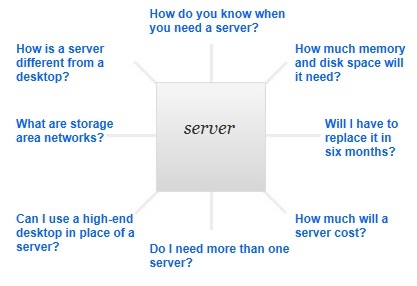 If you already have a server onsite at your business? How old is it? If it is coming up to its 4th birthday chances are you are starting to have a few problems. Updates are slow and tedious, reboots give unexplained error messages, services randomly need restarting? These are all warning signs that you could be having to test out your disaster recovery plan in the near future. Do you have a plan for when it all goes wrong? Could be time to upgrade your small business server. Every week that goes by after a server reaches its 4th birthday could be its last. Our Microsoft Certified engineers and Veeam consultants are only a phone call away. Please give us a ring and we will be delighted to do all we can for your business. Let us look after your IT whilst you run your business. Data is centralised in one safe and secure place. E-mail system can be integrated, allowing for improved data Backups. Workers can share and organise Files, Calendars, Contacts and E-mails. Allow for Secure Access for Remote Workers from virtually anywhere. 1. Fewer physical servers reduces hardware maintenance costs. 2. Increases data centre efficiency. 3. You can isolate each application. 4. Standard build can be easily cloned. 5. Multiple operating system technologies on a single hardware platform. 6. Server builds are moveable for hardware maintence with no down time. If you prefer not to run your own small business server, let us host your systems on one of our network servers. From websites or bespoke business applications, SQL databases, Exchange servers to handle email, and VMware for cloud and virtualization services, we tailor a hosting package to suit you.